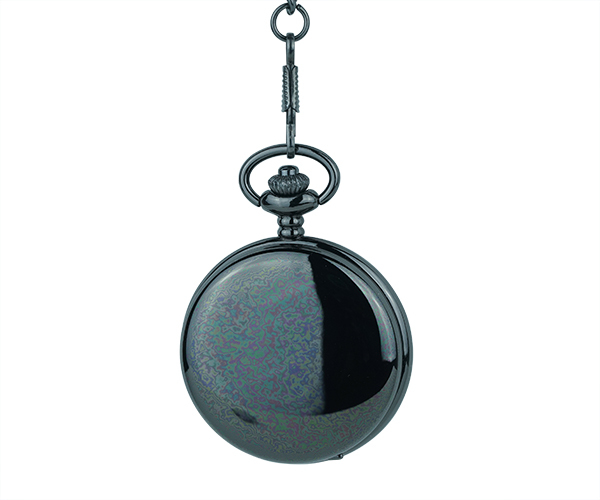 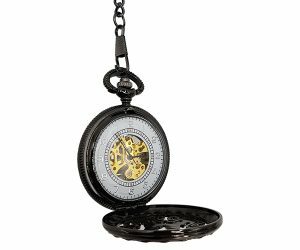 Electric Blue Accents Black Metallic Pocket Watch - Fob & Co. 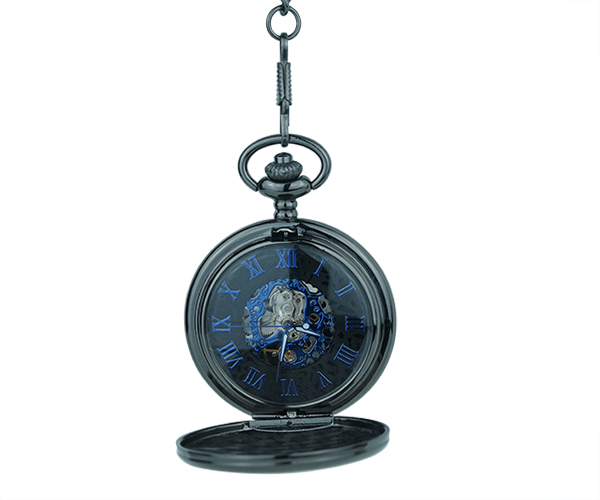 Grab attention with a thoroughly modern pocket watch in gunmetal that features cobalt blue Roman numerals on a black face for a contemporary look. 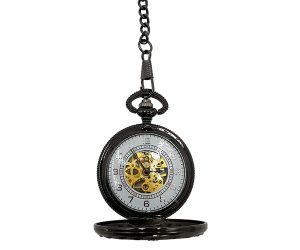 This handsome timepiece is sure to accent any look wonderfully.